Successfully Added Creality 3D CR-Ender3 3D Printer - DIY Design, 0.1mm Accurate, LCD Display, 220x220x250mm Printing Volume, G-Code to your Shopping Cart. The Creality 3D CR-Ender3 is one of China’s latest DIY 3D printers that allows regular people you like and me to create anything the mind can imagine. As a DIY kit, this cool electronic gadget allows you to easily put together your own 3D printer. It comes with detailed instructions which are simple to follow even for people without a mechanical background. This 3D printer will just take 5 minutes to assemble after which it’s ready to be used. Whether you’re a hobbyist, artist, or printing professional - this DIY 3D printer is guaranteed to meet your demands. By supporting a large printing size of up to 220x220x250mm, this DIY 3D printer is great for printing larger sized projects. It supports a continuous printing time of a whopping 200 hours which makes it great for all those demanding printing jobs out there. By treating you to 0.1mm accuracy, you can be assured that you’ll always end up with the highest quality end result. The 0.4mm nozzle prints with speeds up to 150mm/s, meaning that all your projects will be done in absolutely no time. The 3D printer supports a wide range of different filaments including ABS, PLA, and TPU. Thanks to this, your printer is great to be used for any type of art project. It can furthermore be used with a number of different file formats including G-code. Your DIY 3D printer is compatible with Windows, Mac, and Linux systems. Additionally, it allows you to print straight for your SD card for extra usability. In case of the unfortunate event of a power failure, there is no need to worry. The Creality 3D CR-Ender3 will remember where it has stopped and continue printing at the right point once the power is back on. If you’re looking for a cheap and easy to use 3D printer that has it all, this beauty is truly worth your consideration. 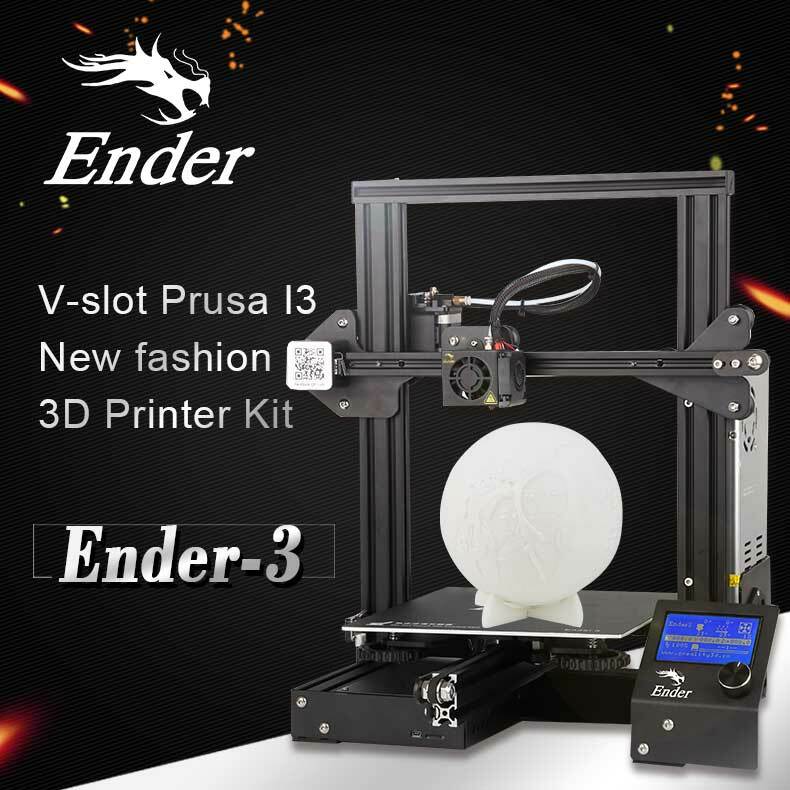 The Creality 3D CR-Ender3 3D Printer comes with a 12 months warranty, brought to you by the leader in electronic devices as well as wholesale 3D printers..